The Red from the Anthurium is the star of the show! Branches of Sword Fern and Roses reach out as Cymbidium orchids lend their beauty and form. Deluxe Center piece includes 11 stems. 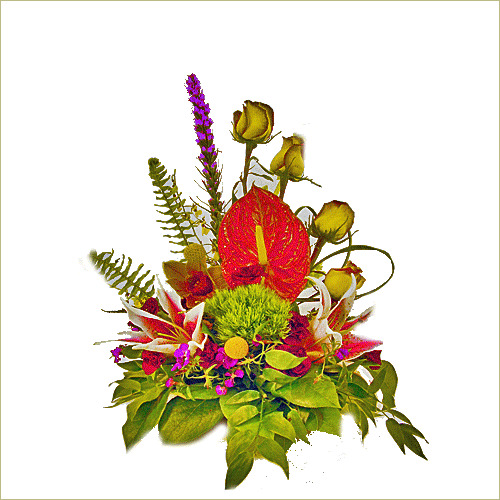 Premium Center piece includes 14 stems.